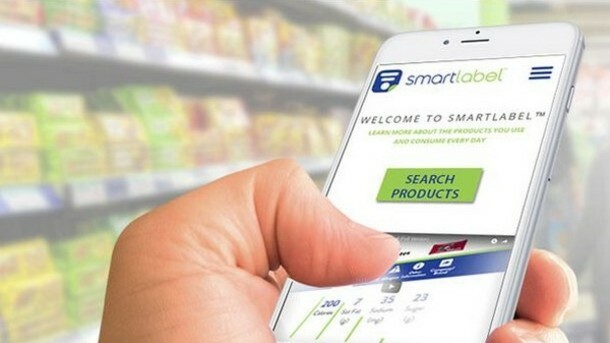 The SmartLabel™ initiative was launched nearly two years ago by the Grocery Manufacturers Association (GMA) to address the abundance of inaccurate, outdated, or conflicting product data around the ingredients in food, beverages, personal care, household and pet care products. So far, nearly 30 brand manufacturer companies have products in the SmartLabel database today and hundreds more have pledged to implement the system, which provides consumers detailed information online and via mobile QR code. The GMA has a comprehensive microsite on its SmartLabel Initiative that goes into great detail on the program. SmartLabel goes beyond the label and has more detailed information such as ingredient sourcing practices, third-party certifications, social compliance and sustainability programs, usage instructions, advisories and safe handling instructions as well as company/brand information. If you are considering participation in SmartLabel or beginning the process of adoption throughout your company, here’s everything you need to know. Why should brands adopt SmartLabel? Consumers are demanding more information today about the foods that they eat and products they use than ever before. 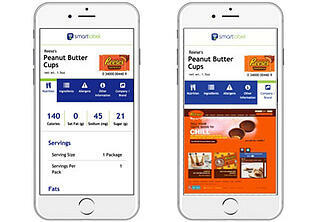 SmartLabel is a way to provide more nutritional transparency to the consumer. According to a 2016 Transparency ROI study, 73% of consumers say they are willing to pay more for a product that offers complete transparency. Get your product found anywhere While online grocery shopping rates are expected to increase significantly over the next 3 years, some consumers will always want to pick out their own food and CPG products in-store. SmartLabel gives consumers the ability to find information about your products regardless of where they are shopping. Each product participating in SmartLabel will have a specifically formatted landing page, which can be accessed through a web search, and QR code on their smart phones. Build consumer loyalty Consumers rely heavily on digital content to influence their purchasing decisions. In fact, our recent research on consumer shopping found that 77% of shoppers say they are using their mobile devices in store today. Consumers are more loyal to food and beverage brands that provide all the content they need to make an informed decision. A survey by Label Insight found nearly all consumers (94%) are likely to be loyal to a brand that offers complete transparency. Aid compliance with the GMO Labeling Law In 2016, the GMO Labeling Law was signed into law. It makes labeling mandatory, but gives producers several options to in exactly how to identify GMOs. The USDA has oversight on the specifics of these regulations and has until 2018 to finalize the requirements. Regardless of the specifics, it’s clear the law will require more transparency in labeling that SmartLabel supports. Participating in SmartLabel requires the ability to create, update, and send detailed ingredient information across your SKUs in food, beverages, personal care, household and pet care products. Where does your content live today? Often, this data lives in silos in archaic formats that aren’t set up to communicate with each other or share a common or consumer-friendly language. You need the ability to set up a centralized hub where stakeholders across your company can contribute to and access the data. How many SKUs do you have? The more SKUs, the greater your need to further automate the process of collecting and sending the information. Consider the scale at which you will be managing and sending data to gauge what technology you will need to support the process. Do you have a vetting process to stay compliant with data standards? SmartLabel has several comprehensive spec guides depending on the vertical you sell in. On a whole, they recommends that GS1 standards be followed first, but your team must take into account additional detail around the required and suggested attributes for “food”, “non-food”, and “pet food.” If you are a current Salsify customer, we can provide a gap analysis against your product data set today to help you determine if your data is ready for SmartLabel. Interested in learning more about how to get started or streamlining your product data organization? Reach out to SmartLabel@salsify.com. We’re happy to help.